There is nothing more touching in the Gospel than the way God treats his reconciled enemies — that is, converted sinners. He is not content to wipe away the stain of their sins. It is easy for his infinite goodness to prevent our sins from hurting us; he also wants them to profit us. He bring forth so much good from them that we are constrained to bless our faults and to cry out with the Church, “O happy fault! O felix culpa!” His graces struggle against our sins for the mastery, and it pleases him, as St. Paul said, that his “grace abound” in excess of our malice (cf. Rom. 5:20). 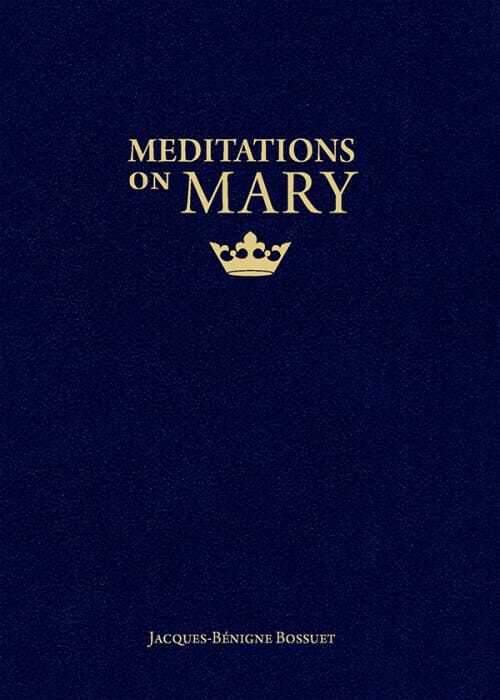 This article is from “Meditations on Mary.” Click image to preview or order. Editor’s note: This article is adapted from a chapter in Bishop Bossuet’s Meditations on Mary, which is available from Sophia Institute Press.